VANCOUVER , May 15, 2018 /CNW/ - Golden Reign Resources Ltd. (GRR.V) ("Golden Reign"), Marlin Gold Mining Ltd. (MLN.V) ("Marlin") and Sailfish Royalty Corp. (FISH.V) ("Sailfish") are pleased to announce that they have entered into a non-binding letter of intent (the "LOI"), together with Wexford Capital LP ("Wexford"), whereby Golden Reign and Marlin will pursue a business combination of Golden Reign's wholly-owned San Albino-Murra Property ("San Albino") in Nueva Segovia , Nicaragua and Marlin's La Trinidad Mine ("La Trinidad") in Sinaloa, Mexico . Pursuant to the proposed transaction, Golden Reign plans to acquire all of the issued and outstanding shares of Marlin (following completion of the Marlin Reorganization as defined below) by way of plan of arrangement (the "Proposed Transaction"). 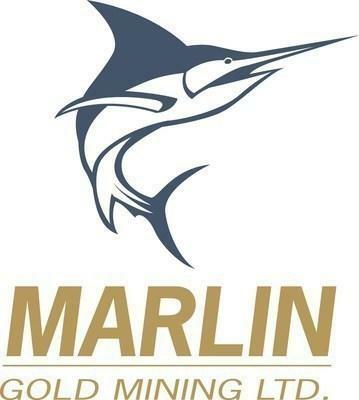 Upon completion of the Proposed Transaction it is expected that the current shareholders and option holders of Marlin will own in aggregate approximately 45% of the shares of Golden Reign (after distributing any Golden Reign shares already owned by Marlin to its shareholders as discussed below) and current non-Marlin Golden Reign shareholders will own approximately 55% of the shares. It is expected that the name of the parent company will be changed in connection with the completion of the Proposed Transaction from Golden Reign to "Mako Mining Corp." or such other name as may be mutually determined by Golden Reign and Marlin. In connection with the Proposed Transaction, Sailfish will restructure its existing gold stream on San Albino, as further discussed below. "This transaction will be beneficial for existing Golden Reign shareholders and stakeholders. The combined entity creates a focussed precious metals exploration and development company with an unencumbered high margin asset in Nicaragua , immediate production and cash flow from La Trinidad , cash flow growth, no debt, geographic diversification and significant exploration potential", stated Kevin Bullock , Golden Reign's Chief Executive Officer and director. "We are excited to shortly be able to begin construction of a 500tpd mine at San Albino and grow production and cash flow to fund exploration of the highly prospective 138km2 high-grade gold camp in Nicaragua ." Akiba Leisman , Executive Chairman of Marlin and Chief Executive Officer of Sailfish states that "this transaction is the culmination of over four years of work to provide Marlin shareholders access to one of the most attractive development assets in the Americas. Additionally, the restructuring of the San Albino stream will provide mutual benefits to Golden Reign and Sailfish, which will now have exposure to a highly prospective gold district in Nicaragua , as well as a more diversified suite of assets." Upon Completion of the Business Combination Kevin Bullock is expected to continue as CEO of the company resulting from the business combination of Golden Reign and Marlin. The board of directors of the newly named company is expected to be comprised of seven members, consisting initially of three directors as determined by Golden Reign (which will include Kevin Bullock ) and three directors as determined by Marlin which shall include at least one independent director. Golden Reign and Marlin will jointly determine one additional independent board member who will serve as non-executive chairman. Golden Reign and Marlin have entered into a definitive bridge loan agreement for a bridge loan from Marlin to Golden Reign of C$4,000,000 , having a term of one year and bearing interest at 8% per annum (the "Bridge Loan"). Upon completion of the Proposed Transaction, the Bridge Loan will become intercompany debt and terminated. In the event that (a) Golden Reign shareholders vote not to approve the Proposed Transaction, or (b) either the LOI or the Definitive Agreement (as defined below) is terminated in accordance with its terms, then all accrued interest under the Bridge Loan will become immediately due and the maturity date of the Bridge Loan will accelerate to the earlier of the original maturity date or the date that is four months from the negative shareholder vote or termination of the LOI or Definitive Agreement, as applicable. In connection with the Proposed Transaction, Marlin has engaged Red Cloud Klondike Strike Inc., as financial advisor and to arrange a sale of its Commonwealth silver and gold property in Cochise County, Arizona , which will extinguish certain of Marlin's debts and liabilities (including all loans from its controlling shareholder, Wexford); in addition, Marlin will distribute any additional proceeds from this sale as well as its current shareholdings in Golden Reign to Marlin's shareholders (collectively, the "Marlin Reorganization"). As a result of the Marlin Reorganization, Golden Reign will acquire Marlin on a debt free basis. as partial consideration for entering into the Revised Stream Agreement, Marlin will assign to Sailfish, for no additional consideration, the El Compas (1.5% NSR) and La Cigarra (1% NSR) royalties in Mexico, the right to option the Gavilanes property in Mexico for nominal consideration, which is expected to be converted to a royalty upon entering into an exploration agreement with an operating partner and approximately 50 million MXP of Mexican value add tax ("IVA") receivables (not including interest and other adjustments), which are part of ongoing litigation with the Mexican tax authorities. A portion of these IVA receivables have already been received by Marlin. The LOI is non-binding and there is no assurance that the Proposed transaction will be completed as proposed or at all. The completion of the Proposed Transaction (including the restructuring of the existing gold stream on San Albino) is subject to, among other things: (i) completion of satisfactory due diligence by each of Golden Reign, Marlin and Sailfish; (ii) negotiation of a definitive agreement and the entering into of a binding definitive agreement in connection with the Proposed Transaction (the "Definitive Agreement"), following receipt by the respective boards of directors of each of Golden Reign, Marlin and Sailfish of a fairness opinion in connection with the Proposed Transaction and the respective board of directors of each company resolving to unanimously recommend that shareholders vote in favour of the Proposed Transaction; (iii) the entering into by the directors and officers of Golden Reign and Marlin, respectively, of support and lock-up agreements on terms satisfactory to Golden Reign and Marlin to vote in favour of the transaction; (iv) receipt of all required corporate approvals from the board of directors, upon the recommendation of the special committee, of Golden Reign, Marlin and Sailfish, respectively, and all regulatory and shareholder approvals, as applicable, by each of Golden Reign, Marlin and Sailfish, including "majority of the minority" shareholder approvals, as applicable, any competition or foreign investment approvals and the approval of the TSX Venture Exchange and any required third-party consents; (v) the completion of the Marlin Reorganization; and (vi) entering into the Revised Stream Agreement on terms acceptable to Golden Reign, Marlin and Sailfish. Forward-Looking Statements: Some of the statements contained herein may be considered "forward-looking information" within the meaning of applicable securities laws. Forward-looking information is based on certain expectations and assumption that are considered reasonable at the time, however undue reliance should not be placed on the forward looking information as the companies can give no assurance that they will provide to be correct. As forward-looking statements address anticipated future events and conditions, such forward-looking information is subject to a variety of risks and uncertainties which could cause actual events or results to differ materially from those reflected in the forward-looking information, including, without limitation, the risk that a Definitive Agreement is not reached and the LOI is terminated, that the Marlin Reorganization is not completed as contemplated, that requisite regulatory and/or shareholder approval is not obtained, that the repayment of the bridge loan is accelerated, that any party is unable to satisfy all closing conditions to completion of the Proposed Transaction (including extinguishing or amending the existing gold stream agreement with Sailfish),that any anticipated reconstitution of the board of directors and management of Golden Reign is not as anticipated, and other risks and uncertainties including those discussed in each company's disclosure documents which can be found under each company's profile at www.sedar.com. None of Golden Reign, Marlin or Sailfish undertakes any obligation to revise or update any forward-looking information set forth herein, except as may be required by law.